HomeOhio District 15Our First Billboard is Live! Contribute now to keep the momentum going! Late last month, our first billboard went up outside Lancaster, Ohio, on Rt. 33 (business). We’ve already received great feedback and support for further communications in District 15 counties. Would you like to be part of this effort to reach rural voters? 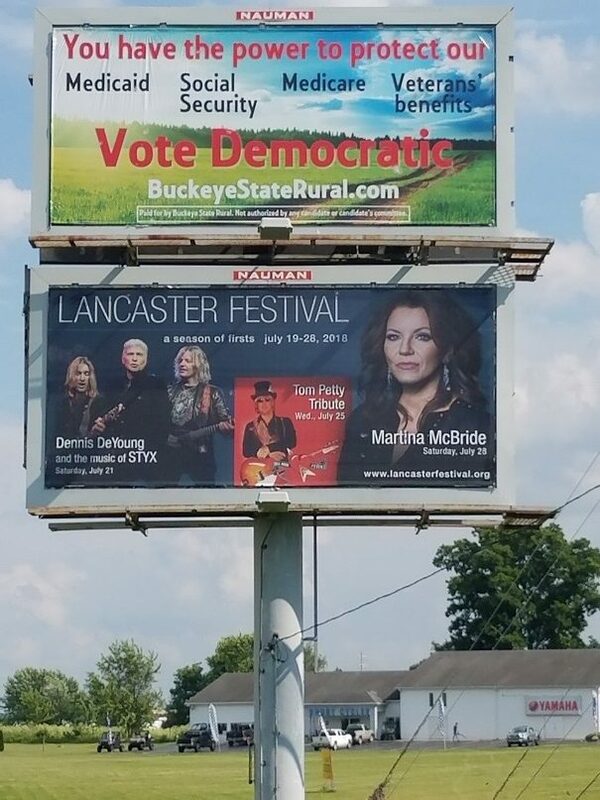 Contribute securely via ActBlue so we can keep this billboard up all summer and place more across the rural counties in District 15.